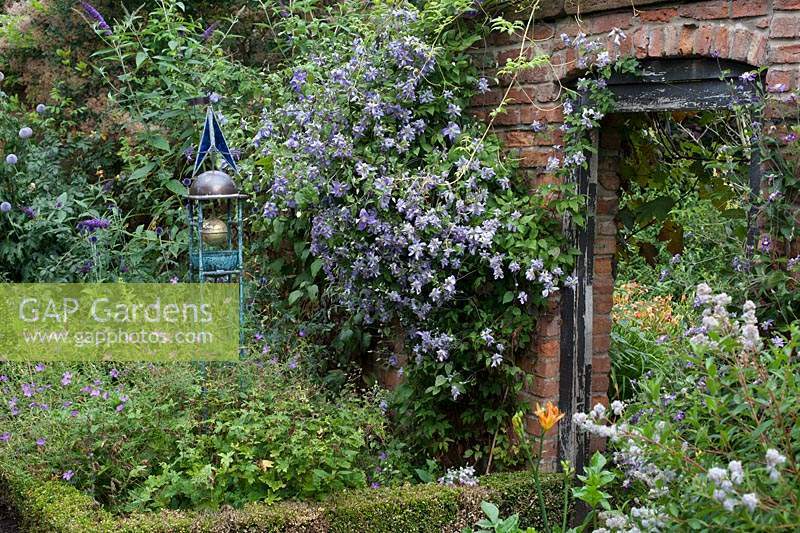 Formal border surrounded by low, clipped hedging, with sundial and flowering blue and purple perennials including Clematis 'Perle D'Azure'. Wollerton Old Hall, Market Drayton, UK. Image 1313812 has been added to your cart.